So what does Multiple Sclerosis have to do with Migraine Headaches? New research is now providing a possible explanation of the correlation between MS & Migraine sufferers and how Upper Cervical Specialists are able to get such good results with the correction of Atlas misalignments in both conditions. A paper, titled “The Possible Role of Cranio-Cervical Trauma and Abnormal CSF Hydrodynamics in the Genesis of Multiple Sclerosis," was recently published and appears in the journal Physiological Chemistry and Physics and Medical NMR (Sept. 20, 2011, 41: 1-17). Commenting on the study, the lead researcher, Raymond V. Damadian stated, “These new observations have uncovered biomechanical barriers that appear to give rise to multiple sclerosis, and, even more excitingly, these barriers may be therapeutically addressable." Translation: problems in the neck affect the flow of fluid to and from the brain and this change in fluid is likely leading to multiple sclerosis. The findings are based on viewing the real-time flow of cerebrospinal fluid in a series of randomly chosen patients with multiple sclerosis. The cerebrospinal fluid, known as CSF, lubricates the brain and spinal cord. In addition, the Upper Cervical Research Foundation (ucrf.org) has been doing some very interesting research with Phase Contrast Magnetic Resonance Imaging (PC MR) lately. In their paper Changes in Cerebral Blood Flow Patterns and Velocities of Migraine Subjects Following an Atlas Correction they stated "Results of a case study describing a subject diagnosed with migraine headache (without aura) reveal compelling results. The subject was evaluated using the protocol of the National Upper Cervical Chiropractic Association (upper cervical) to determine the presence of an Atlas misalignment. After Atlas correction, a follow-up PC MR Study demonstrated changes in cerebral venous outflow. A change in vessel outflow pattern from a jugular to the paravertebral plexus route was discerned. Venous flow rate and vessel pulsatility decreased as well as cerebrospinal flow rate across the Atlas (C-1) vertebra. Most significantly, the imaging procedure measured a distinct decrease in intracranial compliance. The subject obtained relief from migraine headache pain consistent to maintenance of his Atlas correction by the end of thirty days. The PC MR exam continued to show improvement of the hemodynamic parameters measured over the 16-week study period consistent to maintenance of Atlas alignment." What does that all mean in English...if you correct problems with the alignment of the bones at the top of the neck with a precise form of chiropractic care called upper cervical then it changes the blood and CSF flow to and from the brain to the body. 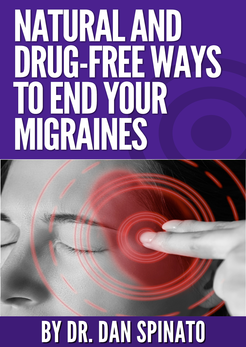 And since Migraine headaches are frequently vascular in origin...changing the blood flow from the brain is important and can take away the migraines completely...as in this case study and many others. So what does this all have to do with Multiple Sclerosis? According to the National Multiple Sclerosis Society website Chronic Cerebrospinal Venous Insufficiency (CCSVI) , is a reported abnormality in blood drainage from the brain and spinal cord, this may contribute to nervous system damage in MS. CCSVI has been getting a lot of press recently because Dr. Paolo Zamboni from the University of Ferrara in Italy published his initial findings in June 2009 from a study of approximately 65 patients. Based on the results of preliminary research which has been published in respected peer journals, Dr. Zamboni and others have recommended larger scale studies to determine if CCSVI may be treated through an endovascular surgical procedure, which involves inserting a tiny balloon or stent into blocked veins in order to improve the flow of blood out of the brain and spinal cord. This procedure produced complete remissions in MS in 90% of the participants of the study! My question is why are the veins blocked to begin with? What has occurred that has led to the changes in the veins? Instead of forcing the veins open with a stent...why not correct the underlying cause of the malformation? Then you look at Dr. Erin Elster's research with trauma and multiple sclerosis where she found that 90% of patients diagnosed with MS have had a trauma to the head or neck prior to the onset of the symptoms. And when x-rayed these patients have a clearly misaligned spine that is putting pressure on the nervous system and the blood vessels. When these misalignments of the upper cervical spine are corrected over 90% of the patients in her study had results. Some patients were able to get out of their wheelchairs! What happened to them? The same thing that Dr. Zamboni was doing...changing the blood flow from the brain to the body. Only in Dr. Elster's results she wasn't artificially forcing the vessels open she was correcting the underlying cause of the vessels malformation! Now not all MS patients responded to either of the treatment options...and perhaps there are other factors involved...but wouldn't it make sense if you have MS or Migraine headaches to have an upper neck evaluation by an upper cervical specialist? Especially if you have a history of head or neck trauma? The longer you wait the more damage is done...put your scepticism aside and see if you can be helped!